The HSLANJ Group Licensing Initiative’s Fall 2017 Offer is now available to all medical librarians in the NNLM/MAR, SE/A, and NER. Today we continue our fall articles, highlighting new products and collections available from vendors. For more information on the HSLANJ GLI, contact Project Manager Robb Mackes (email or 570-856-5952). 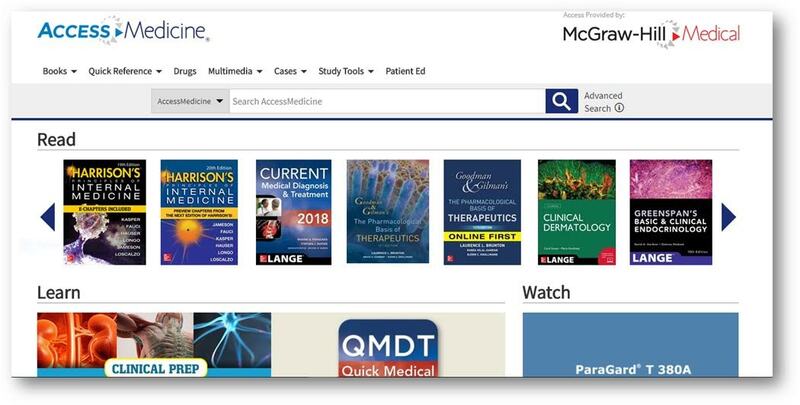 AccessMedicine from McGraw-Hill Medical is a comprehensive online medical resource that provides a complete spectrum of knowledge from the best minds in medicine, with essential information accessible on any device. 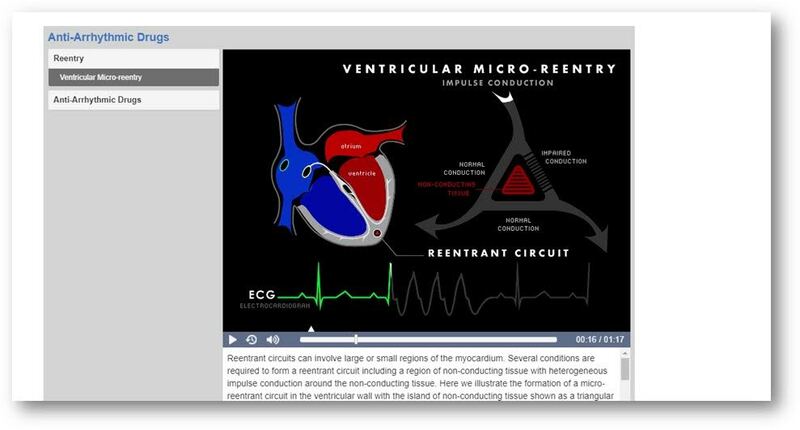 AccessMedicine provides physicians, nurse practitioners and physician assistants with instant access to Videos, Self-Assessment, Quick Reference, CME activities and 90+ leading medical textbooks that facilitate decision-making at the point-of-care; and allows clinicians to brush up on their medical knowledge to ensure the best patient outcome. 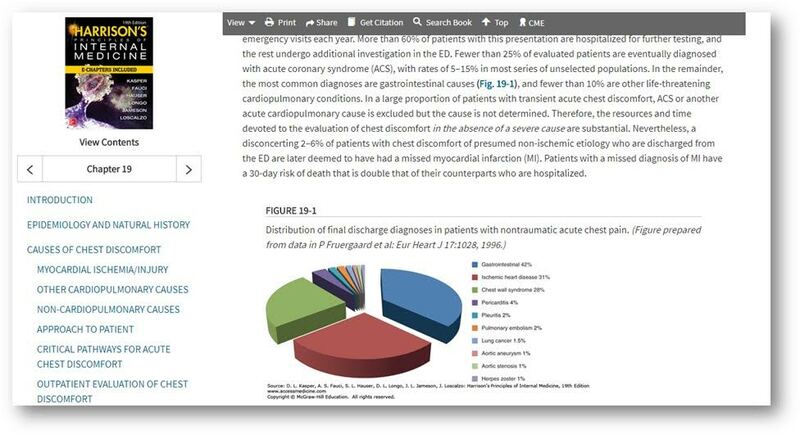 AccessMedicine is ever evolving with new content and resources. Harrison’s 20th edition will publish in 2018. New content includes a new section on cutting edge topics in biomedicine and clinical medicine. These new chapters are on leading-edge topics, from robotic and VR/3D technologies to aid patients suffering neurological illness to using the principles of computer networks for understanding molecular and genetic networks in health and disease. This latter topic will change our understanding of biomedicine in utterly new ways, revolutionary in a way not seen since the current classification of disease was formed in the 17th and 18th centuries. Preview content from Harrison’s 20th edition is posting now! Understanding Telehealth, a brand new resource to AccessMedicine, will provide clarity on existing standards and principles in telehealth. It describes how teleheath is being used clinically in specialty areas ranging from Neurology to High-Risk Obstetrics, with supporting clinical vignettes putting these concepts into context. Included is a summary of the existing framework of both state and federal policy and other legal and regulatory issues. The topics showcase the book’s relevance for a broad range of stakeholders, from nurses to healthcare executives. 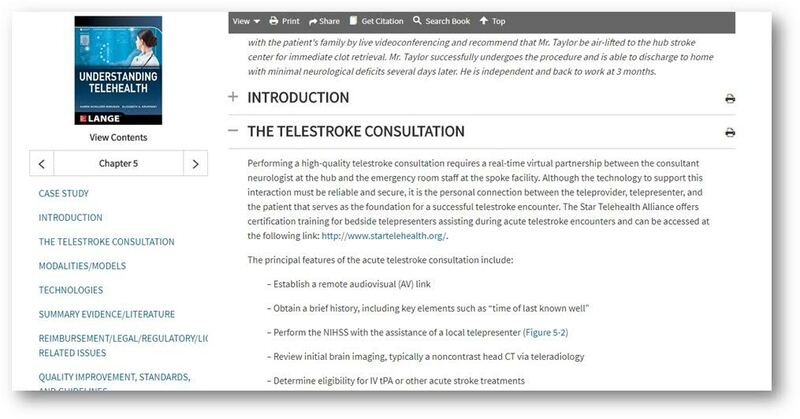 Understanding Telehealth is authored by former presidents of the American Telemedicine Association, the only existing accrediting body for telehealth.